As expected, the FA rejected Banbury United’s appeal not to be moved into the Central Division of the Southern League. Having heard the club’s case on Monday, the FA rejected their appeal to remain in the South Division. The FA were never going to reverse their decision after five clubs were affected by Shaw Lane’s decision to pull out of the Northern Premier League. Instead of simply replacing Shaw Lane with another club from the north, the FA decided to move four other clubs, Hednesford Town, Banbury United, FC Romania, Wimborne Town and Fleet Town! As a consequence of being moved into the Midland Division, United have missed out on getting Felipe Barcelos back to the Banbury Plant Hire Community Stadium. 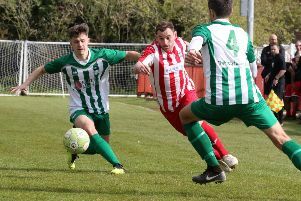 The former Puritan had initially indicated he would return to the club this season but, assuming United would lose their appeal, he has now signed for Didcot Town. Manager Mike Ford will now be waiting to see if any other players will decide not to play for the club if travelling is an issue. Another striker, Leam Howards, has signed for Redditch United, reuniting with former Puritans and Ardley United boss Paul Davis.